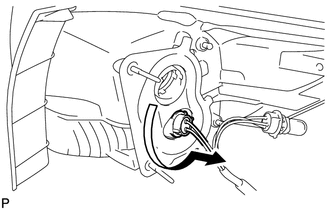 (a) Turn the tail and stop light bulb and the rear combination light socket and wire in the direction indicated by the arrow shown in the illustration, and remove them as a unit. (b) Remove the tail and stop light bulb from the rear combination light socket and wire. 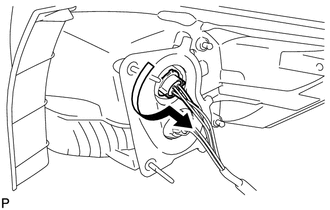 (a) Turn the rear turn signal light bulb and rear combination light socket and wire in the direction indicated by the arrow shown in the illustration, and remove them as a unit. (b) Remove the rear turn signal light bulb from the rear combination light socket and wire. 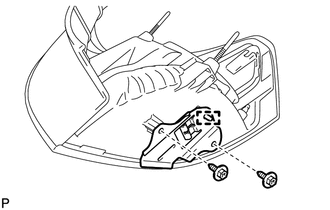 (b) Disengage the guide and remove the rear bumper upper retainer.